Book Culture and harlequin creature invite you to spend a bit of your summer in a creative writing and ‘zine making workshop with Meghan Forbes, editor. With a fleet of typewriters to transport us back in time, you’ll write stories of what life might have felt and looked like well before the Digital Age. After a short snack break, we’ll turn all those stories into a ‘zine to take home, as you’ll learn how to hand bind each page into a book you can keep! 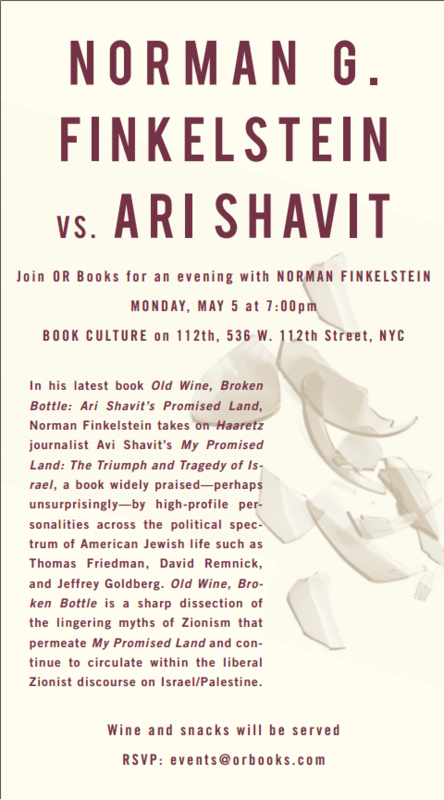 All participants must RSVP to Michael at m.scott@bookculture.com by Thursday, June 19th. Space is limited to 10 children, ages 8-12. This is a drop off event, and is expected to go until 4pm. harlequin creature is a not-for-profit 501(c)3 arts and literary journal, published twice a year. Each copy of every issue is typed on an old typewriter by friends in Ann Arbor, New York, and Los Angeles; covers are letter-pressed and then hand bound. We are thrilled to bring the typewriters used in producing harlequin creature to Book Culture! Meghan has been writing all her live long days and wrote herself right into grad school. She is a karel teige enthusiast, and it is his work in photomontage, typography, and book art that has inspired the unique aesthetic of this project. She grew up in los angeles, likes to think she’s a new yorker, lives in ann arbor, and is a prague native. 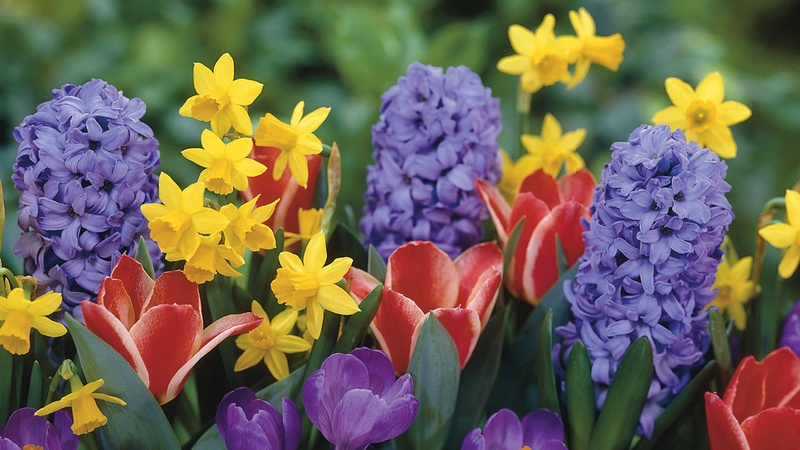 The Writer’s Hotel Master Class in Fiction & Nonfiction is truly “a new kind of writing program,” as the Association of Writers & Writing Programs (AWP) noted in a recent article. 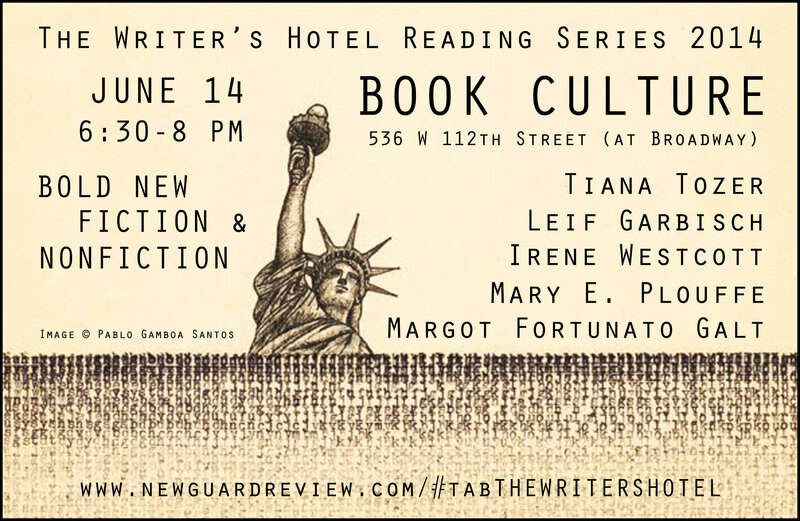 The Writer’s Hotel is the editorial and teaching arm of the print journal, The New Guard literary review. The Writer’s Hotel Master Class is set up as a floating campus in Midtown Manhattan between three writer’s hotels, The Algonquin Hotel, Library Hotel and The Bryant Park Hotel. TWH 2014 Workshop Leaders are Richard Hoffman, Scott Wolven, Elyssa East and Shanna McNair, the Founder of both The Writer’s Hotel and The New Guard. Along with Master Class workshops on craft, meetings with agents and editors and lectures and seminars, The Writer’s Hotel (TWH) hosts literary events, including a series called “The Writer’s Hotel Reading Series 2014,” a reading series specially curated for the current Master Class. Participants and program faculty read their own original work at NYC venues during session. 2014 Faculty readings will be held at The Half King and Kinokuniya. 2014 Master Class participant venues are KGB Bar Lit’s Red Room, Cornelia Street Cafe, The EAR Inn via The New York Poetry Society and Book Culture. Other 2014 events include a guided game of “Wink, Murder,” a game made popular by NYC’s so called “Vicious Circle,” at The Algonquin Hotel and walking tours, guided by The New York Public Library staff, Greenwich Pub Crawl and the Dorothy Parker Society. The local NYC nonprofit, Literary Manhattan, is working to help coordinate some literary events. The Writer’s Hotel Master Class in Fiction & Nonfiction, 2014 is sponsored in part by The Kirby Family Foundation in cooperation with Creative Portland Corporation. Bottles of Dorothy Parker Gin have been donated by New York Distilling Company for the Wink, Murder event. Come in on Saturday, May 3rd at 10 am for our monthly bagel breakfast. If you’ve had the opportunity to enjoy breakfast at Book Culture, then I don’t need to tell you about the amazing fresh fruit, bagels from a local and independent shop, and selection of beverages. If you haven’t, please do! It’s on us. Join us on Tuesday, April 29th at 7pm to see Ellen Steinbaum and Joelle Sander reading from their newest poetry collections, Brightness Falls and Margins of Light. Ellen Steinbaum is the author of two previous poetry collections, Afterwords and Container Gardening, and a one-person play, CenterPiece. She grew up in Wilmington, Delaware, and lives in Cambridge, Massachusetts. A former literary columnist for the Boston Globe, she now writes a blog, Reading and Writing and the Occasional Recipe, which readers can find at her website. Joelle Sander became a painter after being a successful writer for over three decades. Publishing in newspapers, magazines, poetry journals, and scholarly books, she also wrote a prize winning book, Before Their Time: Four Generations of Teenage Mothers. It was awarded Best Adult book about Children (1991-1992) by the Anti-Defamation League’s Braun Center for Holocaust Studies. 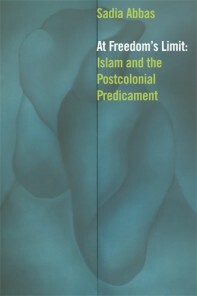 Stop in on Thursday, April 24th at 7pm for a discussion with Sadia Abbas, Samah Selim, and Bruce Robbins for Abbas’ new book, At Freedom’s Limit: Islam and the Postcolonial Predicament. Sadia Abbas teaches at Rutgers University in the English Department and Women’s and Gender Studies Program. She specializes in poscolonial literature and theory, the culture and politics of Islam in modernity, early modern English literature – especially the literature of religious strife – and the history of twentieth-century criticism.